for $134,000 with 3 bedrooms and 1 full bath. This 883 square foot home was built in 1953. Beautiful 3BR/1BA 883 SQF single family home in Historic Murray Hill. 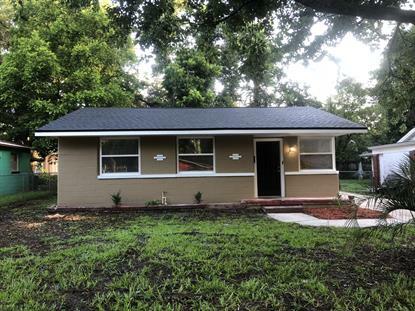 Fully renovated in 2018, this property features new carpet and paint, an updated open kitchen, remodeled bathroom, and so much more! Complete with covered parking, outdoor storage, a large yard and more, this property is perfect as a rental holding or for small families! Don't miss this incredible property located within easy driving distance to Riverside, Murray Hill, San Marco, and Downtown for all of your shopping, dining, and entertainment needs! Tenant occupied until mid Dec 2019 at $1075/mo.